Day 258 | New Passion: Climbing Stairs, originally uploaded by tadnkat. Mackenzie has a new passion: climbing stairs. 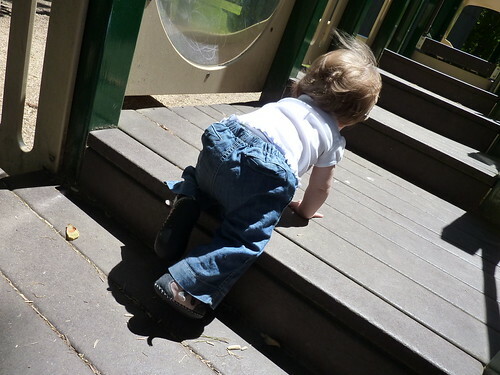 We went out to the park on Saturday while mommy was at the Alexandria Mission, and more than anything else, MV wanted to continually tackle stairs of any sort. 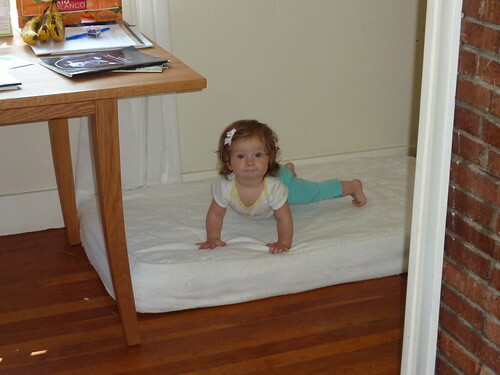 First, she wanted me tl lead her over them in a standing position several times, and then she’d want to try them on her own, crawling.